It seems a long time since 2000 when the Government introduced the idea of parish plans for Town and Parish Councils: statements of how the local community sees itself developing over the next few years. In February 2004, Wellington Heath Parish Council invited Lynda Wilcox, Chief Executive of Herefordshire Association of Local Councils (HALC) to explain parish plans and the process for having one adopted by the County Council. 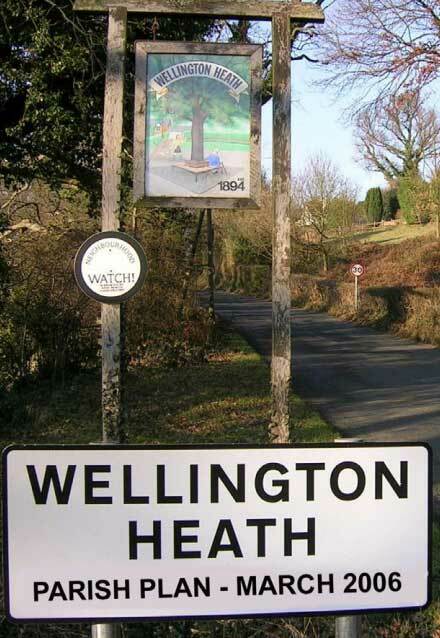 Now Wellington Heath is one of some 45 Herefordshire parish councils which have completed parish plans. Following a public meeting in November 2004 to launch the process – again, with the help of Lynda Wilcox – a Steering Group was formed from volunteers within the parish. The Steering Group used questionnaires and further public meetings to obtain the views of different sectors of the parish’s communities. The response to the main questionnaire, delivered to every household in the parish, was 54.4% – a very high response for this type of survey. The questionnaire solicited the views of all residents of the parish, and included a special section for the views of young people. A separate questionnaire, aimed at businesses, was distributed along with the main questionnaire. Individuals living outside the parish boundary but who would be in scope to use parish facilities were also asked for their views. The results of these questionnaires and comments provided at the public meetings were analysed by the Steering Group, and the fidings are detailed in the following pages. The aim of this Parish Plan is to show how, by involving local people, neighbourhood government can work better by reflcting the ideas of the people of the parish, and feeding these views into the County strategies to provide a local inflence.